Top Dating Sites India - Online Dating Addiction In India: Is It Real? Over the years, online dating has become extremely popular all around the world, however, India is the absolute leader when it comes to the number of dating sites and number of active users. Online dating is so popular in India, it’s safe to say that most single Indians now prefer this modern type of matchmaking to any other form of traditional dating. 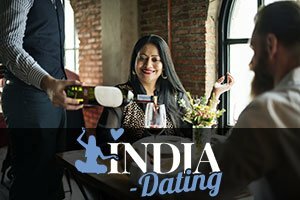 Since so many people in India are relying on dating websites in order to find themselves a match, is there a possibility that some of those people are addicted to online dating? If you’re spending most of your days on a dating site or if you know someone whose life has been taken over by the online dating fever, check out these signs that may indicate that you’re addicted to online dating. Online dating can be extremely interesting, exhilarating and captivating, but if you can’t stop yourself from checking your dating profile for messages and flirts every 10 seconds, well, you are definitely addicted to online dating. If you have already established a strong connection with your match and you’re compulsively checking for messages from that person, don’t worry, that’s not an addiction, you are just eager to communicate with someone you like. On the other hand, if you don’t have anyone special and you are constantly checking your inbox expecting messages from other users, then you may have a problem. If you start avoiding parties and going out with your friends so you can stay at home and hang out on your favorite dating site, it’s time to rethink your priorities. Online dating is a lot of fun and it definitely should be a part of your life, but not your entire life. Always remember that. Intentionally trading real life opportunities to meet someone special for a chance to stay at home and chat with many potential matches on a dating site is a sure sign that online dating has taken over your life. Some people even have problems focusing on doing their job while they’re at work. They simply cannot resist the urge of checking their dating profiles. If you have the same problems, you should quit online dating for a while, just until you manage to restore balance in your life. People are usually satisfied and happy when they find someone who is a perfect match for them. If one person is not enough for you and you have the urge to constantly chat and flirt with two, three or even four other people at the same time, well that may indicate that you’re an online dating addict. Some people are so addicted that they can’t resist checking their online dating profiles even while they’re on an actual date. So, to sum up – if you can relate to any of the aforementioned scenarios, then you are probably addicted to online dating, and should tone it down a little bit. Remember, online dating is extremely fun, but don’t let it consume your entire life.